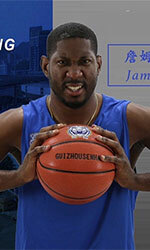 Changwon LG Sakers (KBL) agreed terms with 32-year old Central African ex-international power forward James Mays (205-104kg-86, college: Clemson). It is actually his comeback to Changwon as he has played here before. 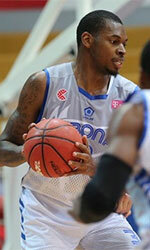 Mays played last season at SK Knights in South Korean KBL league. In 10 games he had very impressive stats: 21.6ppg, 7.6rpg, 2.1apg and 1.4spg. Mays also played for Eagles (CBA) in league where in 13 games he recorded also remarkable stats: 25.9ppg, 11.5rpg, 2.8apg and 1.5spg. In 2008 Mays was drafted by Colorado 14ers (D-League) as #2 pick overall. The former Clemson University standoutis in his eleventh (!!!) season in pro basketball. Mays has tried to make it to the NBA and played in the NBA Pro Summer League in 2013. He won Korean KBL championship title. The list of the past achievements is quite long as among others Mays was voted Asia-Basket.com All-PBA Commissioner's Cup Defensive Player of the Year back in 2014. Strangely he also played for Central African National Team in 2013. Mays played at the Arab Club Championships Quarterfinals three years ago. He is quite experienced player. Mays' career allowed him to visit three different continents, while he played in eight different countries. Mays tasted the life as pro basketball player in Asia, Latin America and of course North America. He has played previously professionally in Dominican Rep., Italy, Philippines, Puerto Rico (Capitanes), Turkey, NBA G League (Sioux Falls Skyforce and Maine Red Claws), D-League (Springfield A.) and China (Guizhou and Shaanxi Xinda). On Mays: Showed an improved ability to find open looks for teammates; one of the quickest post players in the conference and maybe in the entire countryhas the ability to create crowd enthusiasm by turning in exciting playshe's also a very good defender, sees well the court and passes the ball well.